I grew up in New Mexico, so I've got a soft spot for things happening there, and to see KT championing the urban chicken movement so well is a source of great pride. 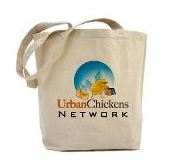 urban chickens now easy in Wake Forest! Urban Chickens picks on Flashlight Worthy Books!